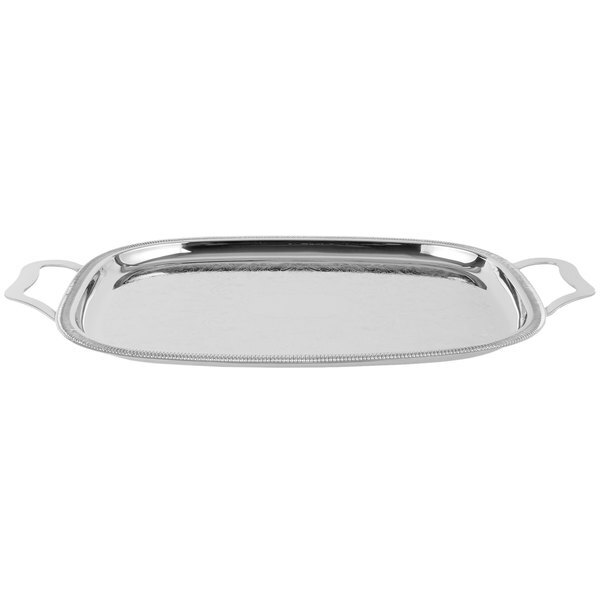 A perfect blend of elegance and durability, the Vollrath 82122 Elegant Reflections 18" x 14" oblong catering tray with handles is constructed from mirror-finished, heavy duty 18-8 stainless steel. 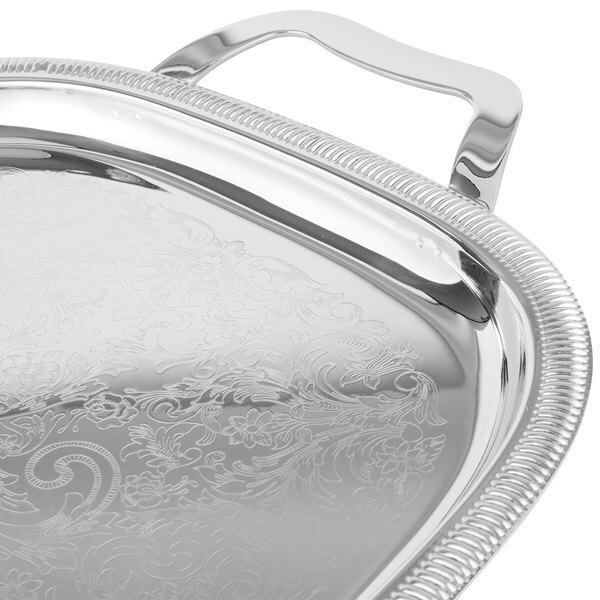 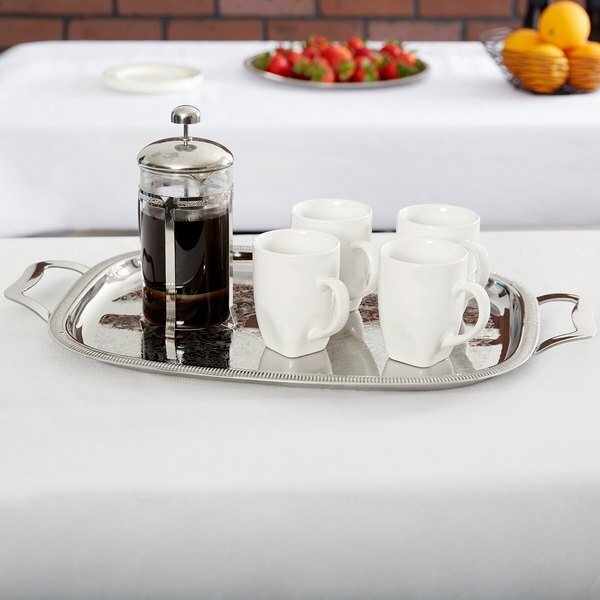 The scalloped gadroon edge and center embossing of the tray adds sophisticated style and helps minimize noticeable wear. 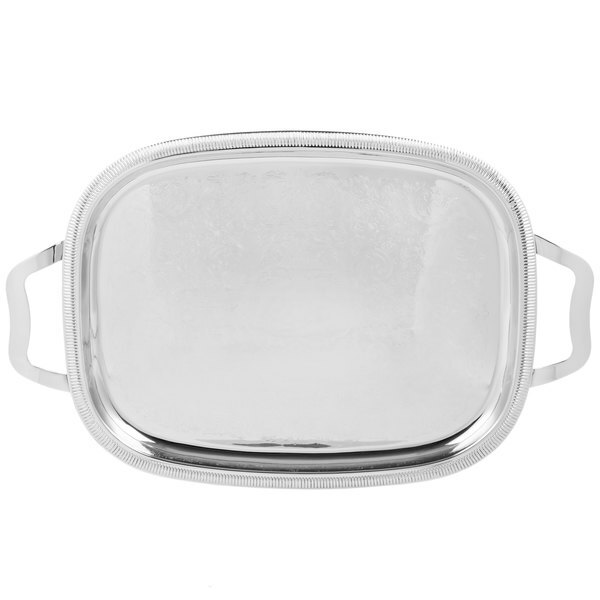 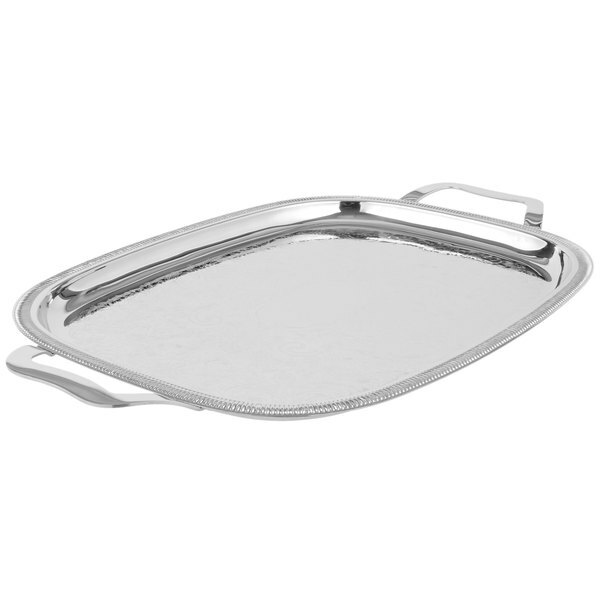 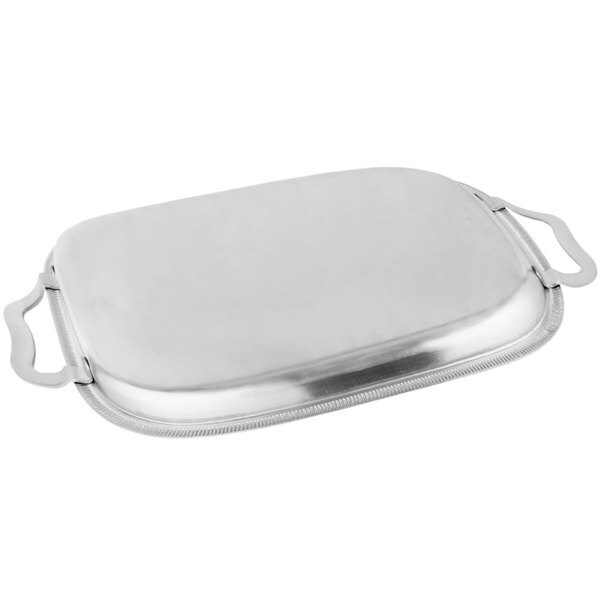 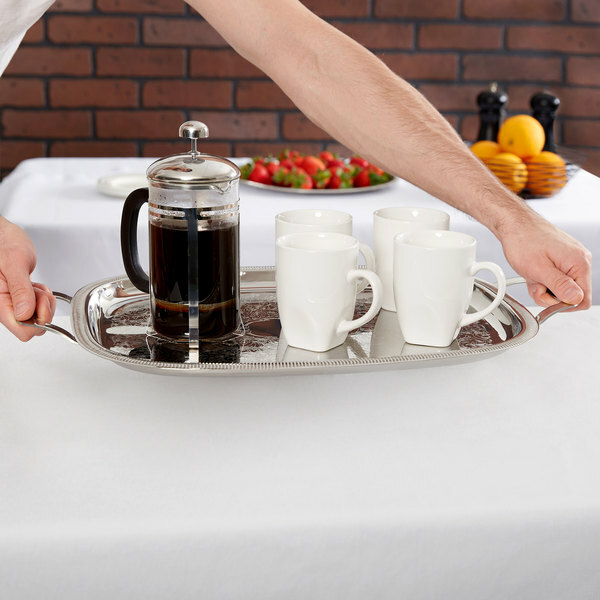 Vollrath Elegant Reflections catering trays are available in a variety of sizes and shapes.